This official L.O.L. 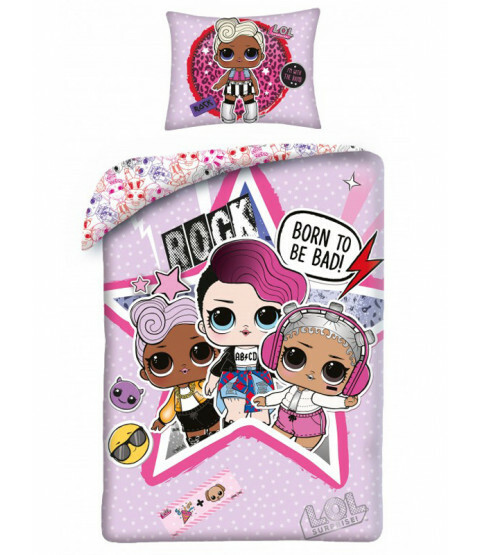 Surprise single duvet cover set is ideal for any fans of the adorable dolls. 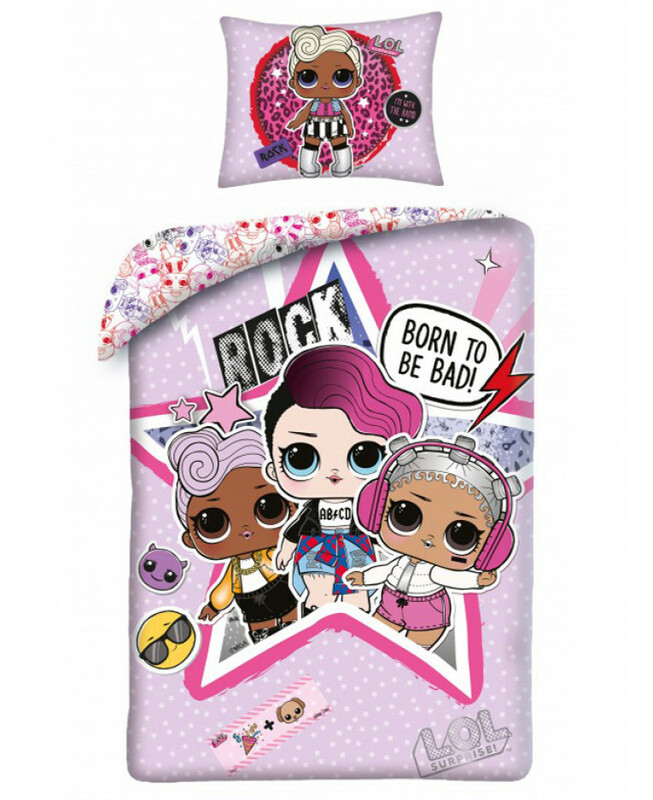 The fun design features Rocker, DJ and Beats set in a large star shaped frame on a pretty lilac and white polka dot patterned background, with Funky QT on the pillowcase. The reverse features colourful outlines of the characters in a repeat pattern on a white background. This bedding set is made from 100% cotton and is suitable for machine washing and tumble drying on a cool setting.